Luxury villa with 5 bedrooms and panoramic views of the sea and mountains. Separate games room with pool table and table tennis, satellite TV, DVD player and stereo system. Infinity pool and jacuzzi with beautiful views. All bedrooms have private .. The apartment is located in Limassol, in the tourist area near the 5 * hotel Grand Resort, St Raphael, Elias. Entrance to the complex is restricted only to residents. 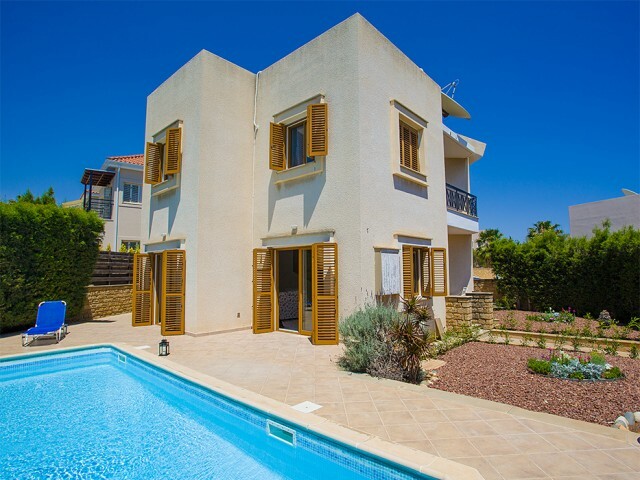 The complex has large green areas and two communal swimming pools, GYM, a childr..
New, luxury 3 bedroom villa in Paphos with private pool and garden, 100 meters from the beach. 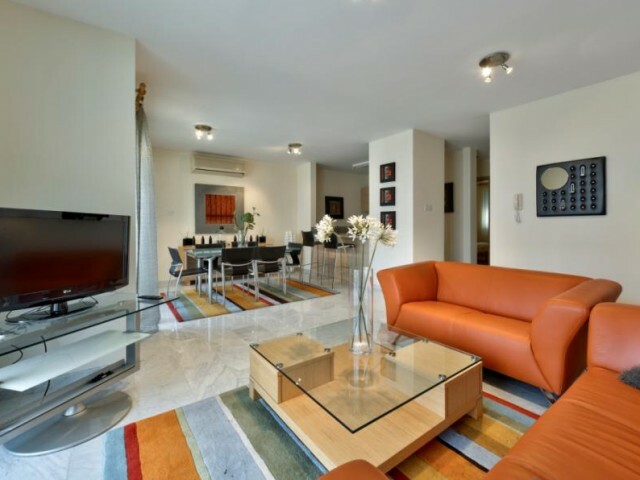 The spacious living room is located on the ground floor, as well as the kitchen. On the roof of a large and spacious terrace with Sadoi and panoramic vi..
Two bedroom apartments in the complex are very popular project in terms of design, location and surprising combinations of various types of real estate. On site swimming pool, surrounded by landscaped gardens. The apartments are ideally located in..
Villa with private pool located in the complex of the Old Limassol, 100 meters from the sea, near hotel Le Meridien. The house has 3 bedrooms, 2 bathrooms, open plan living and dining area and a fully fitted and equipped kitchen. The house can com.. Fully furnished apartment in a complex in the heart of the tourist zone and 100 meters from the sea. In walking distance of all the necessary infrastructure, hour bakery, restaurants, luxury and gift shops, entertainment, cinema, bowling, amusemen.. This impressive villa is the ideal place for an unforgettable vacation. Located in a quiet area of Ayia Triada, less than a 5-minute drive from the center of Protaras. The villa offers an amazing outdoor private oasis where you can swim, dine and .. 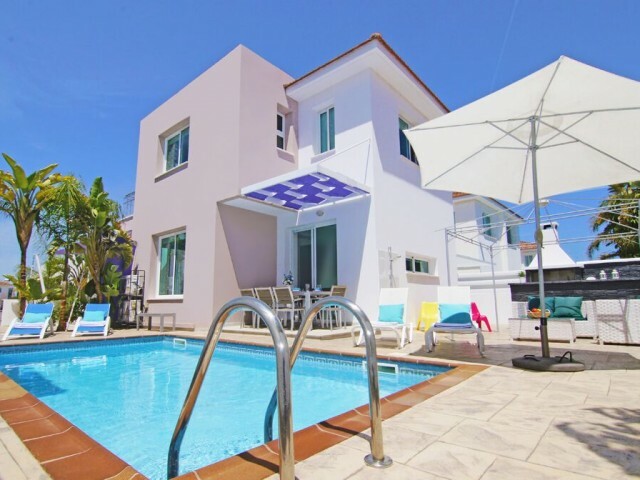 The villa is located in a quiet area of ​​Protaras, less than a 10-minute walk to the town center and just a 3-minute walk to the beautiful beach Vizakia. 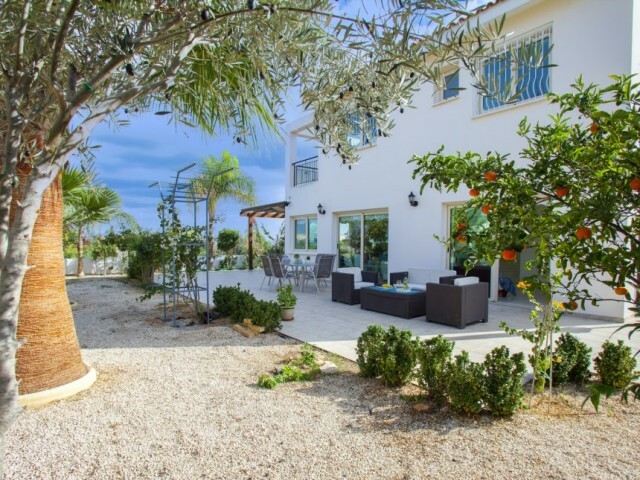 The villa has a large garden with mature plants, equipped with modern garden furniture and a..